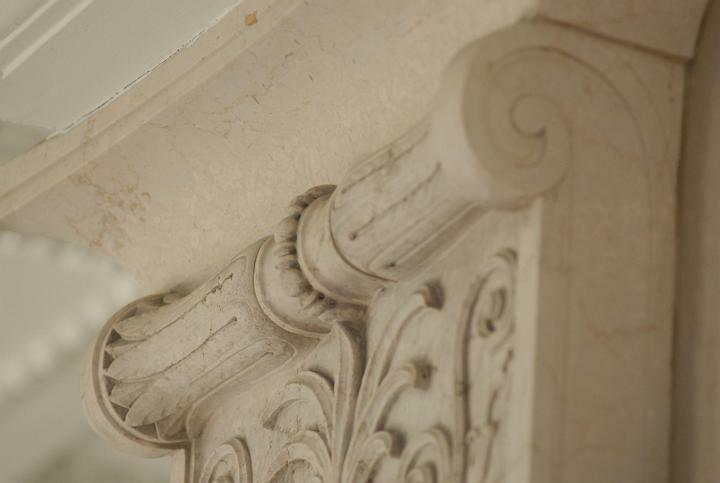 Avery Library announces the launch Avery’s Architectural Novelties an online exhibition highlighting a selection of items from the Avery Classics collection that are delightfully eccentric in their treatment of architecture. One of the largest collections of rare architectural books in the world, Avery Classics counts thousands of printed volumes among its holdings, as well as photograph albums, bound manuscripts, suites of engravings, and broadsides. Yet the collection also includes certain items that fall outside traditional categories, such as toys, ephemera, and games. Avery’s Architectural Novelties presents a sample of these materials from Avery Classics in an exhibition of downloadable digital images. One item included in the exhibition is the St. Louis Exposition in a Nutshell. This commemorative souvenir from the Louisiana Purchase Exposition of 1904 provides an architectural synopsis of the fair, housed within an actual walnut shell. Despite its small size, the souvenir is surprisingly informative, with forty-four photographic views of the fairground pavilions. Another item featured in Avery’s Architectural Novelties is a set of transparencies and a viewfinder produced by the VEB Rathenower Optische Werke. The transparencies show scenes along the newly constructed Stalinallee, the boulevard through East Berlin that was constructed as a showpiece of postwar reconstruction. When seen through the accompanying viewfinder, the images of the street and the nearby housing complexes appear three-dimensional. These items are two of the twenty on display in Avery’s Architectural Novelties, which provides an introduction to some of the most unconventional items in the Avery Classics collection. This entry was posted in Avery Classics Collection, Exhibitions on May 24, 2012 by Ted. Avery Library Drawings & Archives Department has a new blog!! Welcome to the "About the Edgar A. Tafel Archive" blog!! Tania Franco, the new archivist for the Edgar A. Tafel Archives, will document the processing of the archive until its eventual publication in an online finding aid. She also intends to highlight some fascinating findings and facts. 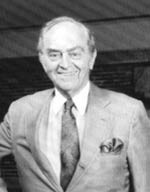 We hope it will provide you with some behind-the-scenes insights into the world of archives and the ideas of Edgar A. Tafel. 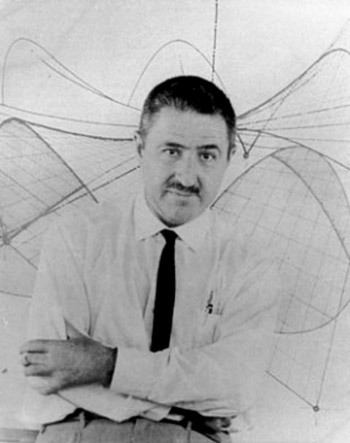 This entry was posted in Drawings & Archives, Edgar A. Tafel Archive blog on May 23, 2012 by Ted. There will be an exhibition of: V'SOSKE Rugs by Architects, Architecture in Transition at the Center for Architecture, AIANY Chapter, from May 14-28, 2012. Avery Library Drawings & Archives has drawings and a large painting of Roger Ferri's design for his V'soske rug in the Roger C. Ferri archive. This entry was posted in Drawings & Archives on May 22, 2012 by Ted. Avery Library Summer Hours Begin Today! Welcome summer students! Check out our hours for summer! This entry was posted in Access Services on May 21, 2012 by Ted. The weekend of May 19-20 is the Open House for the Sacred Sites Program run by the New York Landmarks Conservancy. The Conservancy is one of the only organizations that provides funding and technical assistance to religious properties, which often are not eligible for other preservation funding. Since 1986, they have funded more than 660 congregations to help them mobilize their preservation projects. Because of that, there is probably a church, synagogue or other religious institution near you that has been helped by the Conservancy and is open that weekend for visits and tours. Check this website (see Participant List link under the photo) to see if there is a site in your neighborhood. Of particular interest is the Church of the Intersession on Broadway at 155th Street. Rarely open except for services, this church was designed by Bertram Goodhue (one of the great collections in Avery Library Drawings & Archives) and is the place where he is buried in a tomb designed by Lee Lawrie, the sculptor who did many works at Rockefeller Center. This entry was posted in Drawings & Archives on May 17, 2012 by Ted. 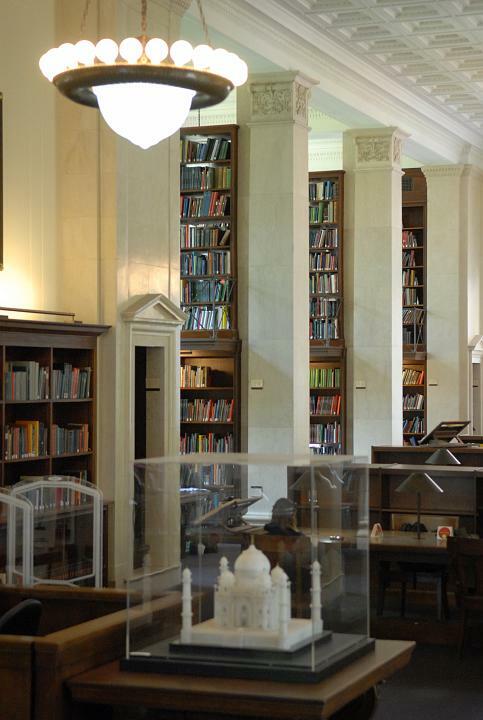 Avery Library congratulates the 2012 graduates from the Graduate School of Architecture, Planning and Preservation (GSAPP) and Art History and Archaeology!! Don't forget you have ALUMNI PRIVILEGES!!! This entry was posted in GSAPP on May 16, 2012 by Ted. Be sure to check our hours before coming to the Library! Intersession hours run from May 11 to May 20 and the Library will be operating on a reduced schedule. Please note that Avery Library will be closed for study on Monday May 14 due to the annual Display of Recent Acquisitions event. Summer session hours begin on May 21. This entry was posted in Access Services on May 8, 2012 by Ted. The Felix Candela exhibition which closed March 31, 2012 was reviewed by Carlos Brillembourg in the Architect's Newspaper. 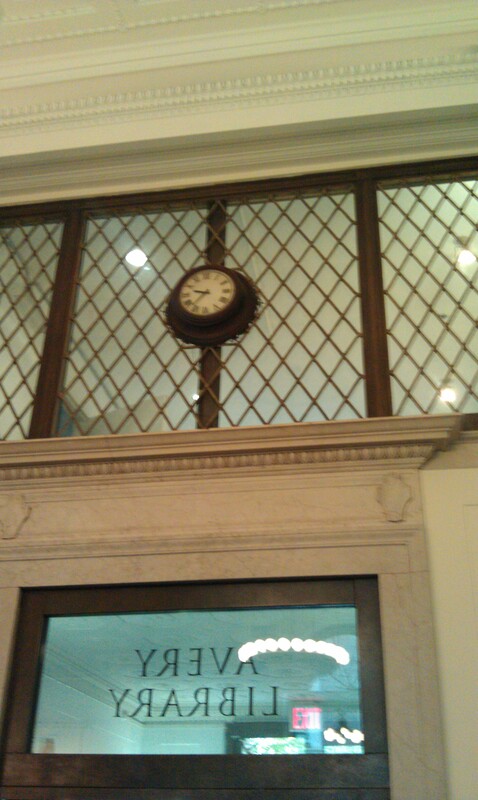 Check out previous Avery Library Candela blog posts here and here. This entry was posted in Avery in the News on May 2, 2012 by Ted. That’s right. It’s springtime so let Avery Library inspire you with sources to help with your garden planning and planting. Garden source: inspirational design ideas for gardens and landscapes. New York : Rizzoli, 2012. 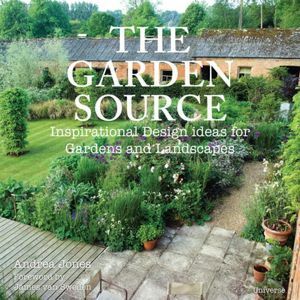 This is a must-have for anyone looking for garden design ideas. 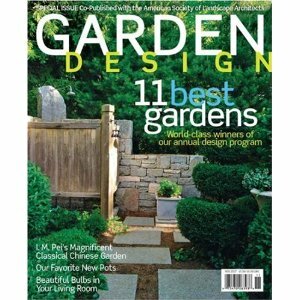 Hundreds of full-color images are cleverly arranged to offer thousands of possible design solutions and inspirations for any type of garden. The book includes gardens from all over the world and features projects by the best contemporary designers at work today, including Topher Delaney, James van Sweden, Piet Oudolf, Rick Darke, Sean Hogan, and many others. The premier resource for access to articles about plants and gardens. Topics include horticulture, garden and landscape design and history, botany, ecology, plant and garden conservation, garden management, and horticultural therapy. This index and abstract product is designed for gardening enthusiasts, professionals, and students of horticulture and of garden and landscape design and history. Find articles on guerrilla gardening, community gardens, and container gardening. Portland, Or. : Timber Press, c.2011. 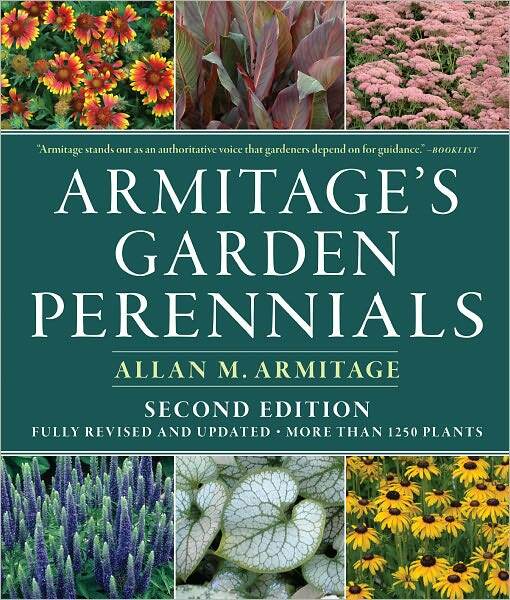 One of the world's most foremost experts on herbaceous perennials, Allan Armitage profiles more than 1,250 plants in this comprehensive, reader-friendly volume. In it, you'll find : Extensive profiles of some of the most popular new perennials with more than 1,300 photographs. Includes concise descriptions and growing information, including hardiness zones, for each plant profiled and expanded coverage of perennials grown primarily for their foliage, including ornamental grasses and ferns. The books has helpful lists of plants for specific conditions and purposes. This entry was posted in Bibliographic Services on May 1, 2012 by Ted.